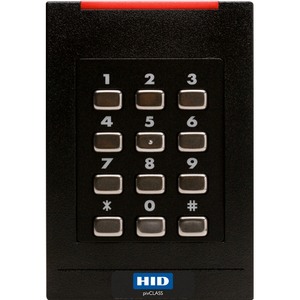 HID Global's portfolio of pivCLASS readers includes a broad selection of contactless, contact plus contactless, and biometric readers. These readers are designed to work with the pivCLASS Authentication Module (PAM) to meet the assurance level requirements defined in NIST Special Publication 800-116 and in the federal government's FICAM E-PACS guidelines. The pivCLASS readers can be deployed in either Wiegand or PAM mode. Wiegand mode is for use without a PAM and provides a phased deployment capability to support transition to FIPS 201 compliance. Conversion from Wiegand mode to PAM mode can be completed in the field by reconfiguring the reader firmware. The quality and features of pivCLASS readers offer superior value in securing facilities and ensuring organizations are FIPS 201 compliant.